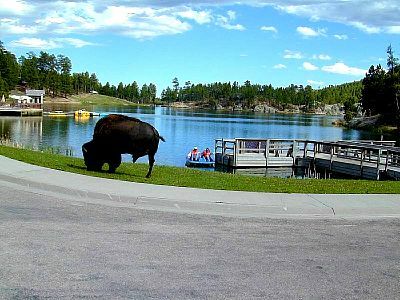 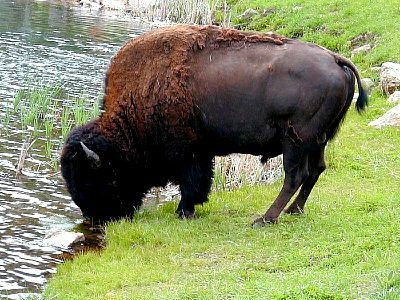 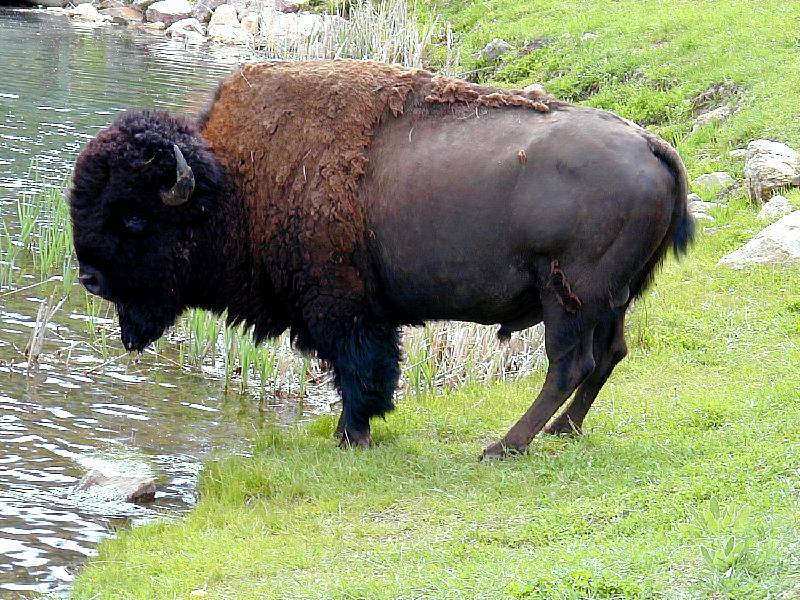 A buffalo taking a drink from Legion Lake in Custer State Park, S.D. 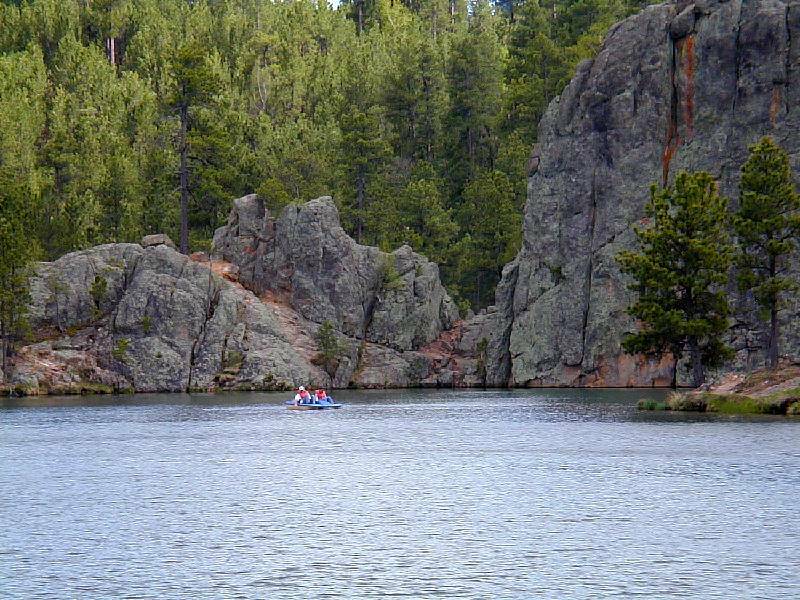 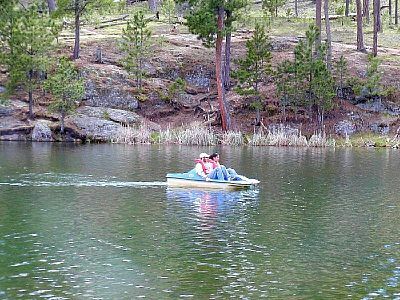 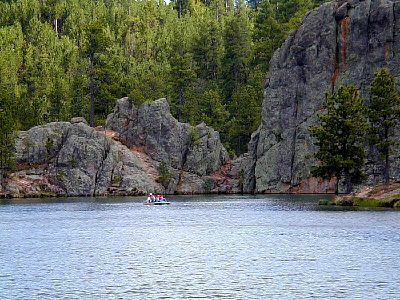 Joe & Jen taking a paddle boat ride on Legion Lake in Custer State Park, S.D. 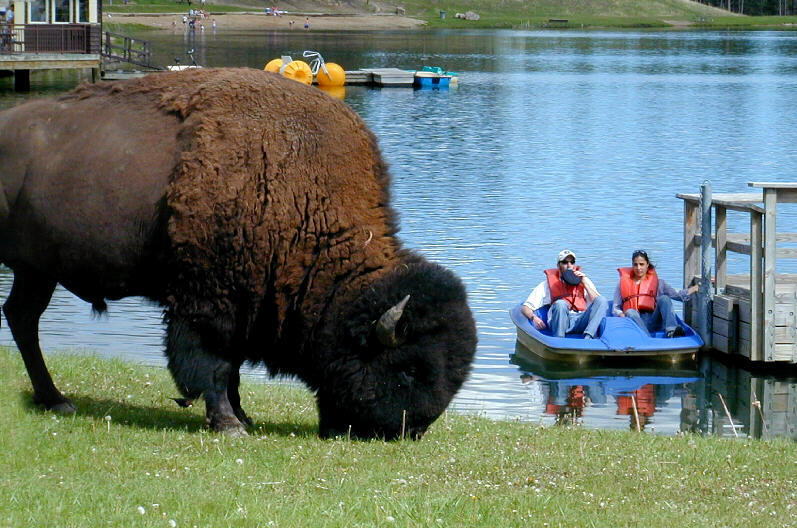 Joe & Jen in a paddle boat watching a buffalo grazing along Legion Lake in Custer State Park, S.D. 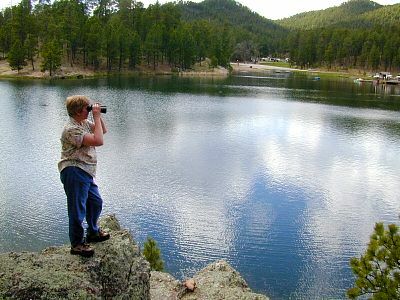 Mom looking for Joe & Jen in a paddle boat on Legion Lake in Custer State Park, S.D. 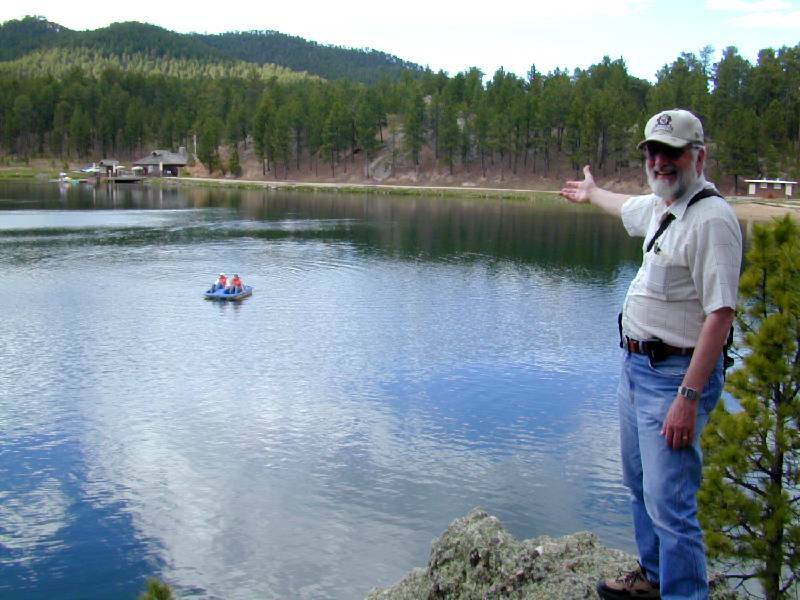 Dad spotting Joe & Jen in a paddle boat on Legion Lake in Custer State Park, S.D. A Bighorn Sheep grazing along the side of the road in Custer State Park, S.D. 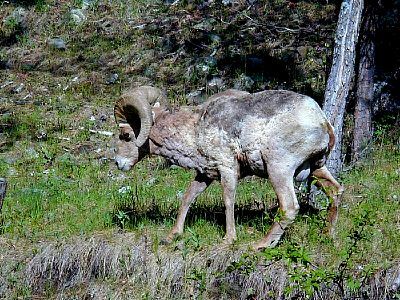 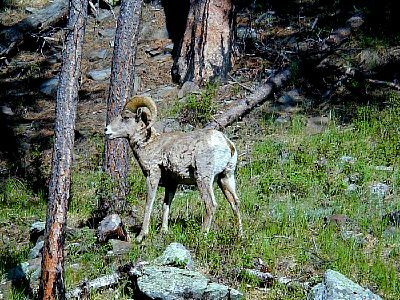 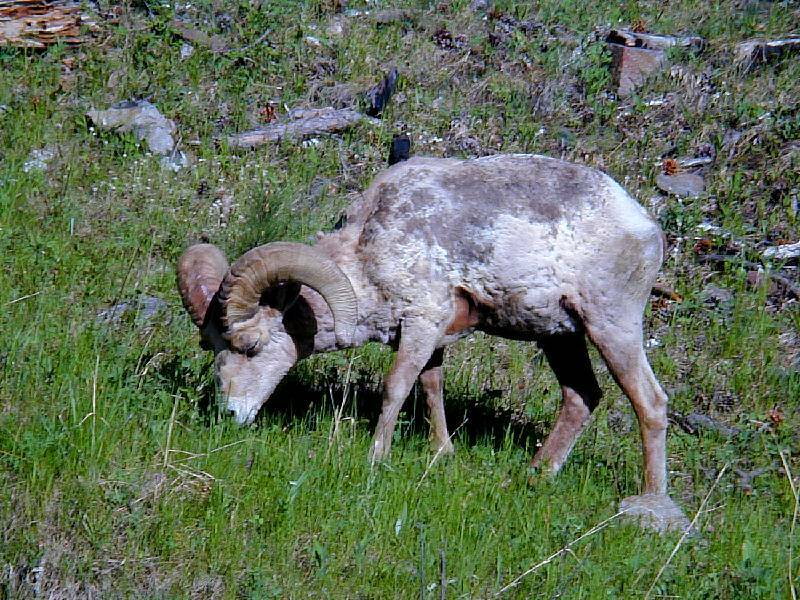 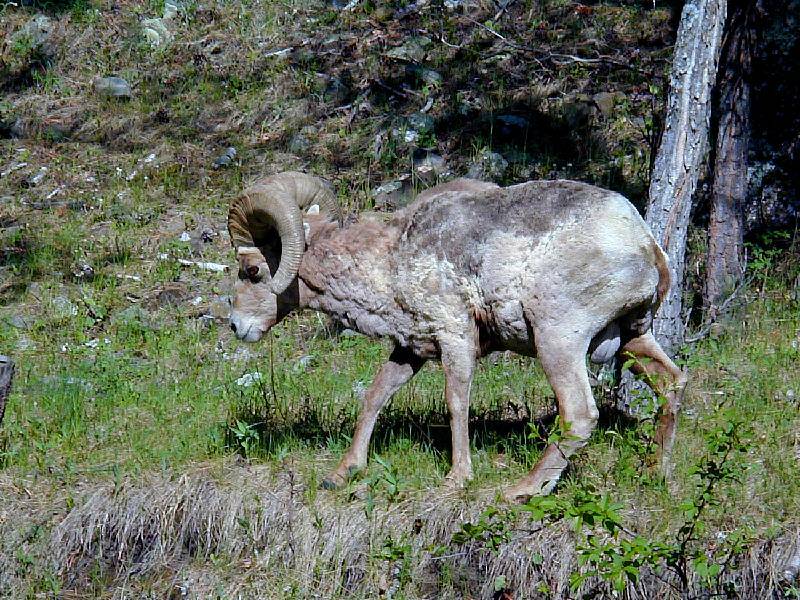 A Bighorn Sheep in the woods along the side of the road in Custer State Park, S.D. 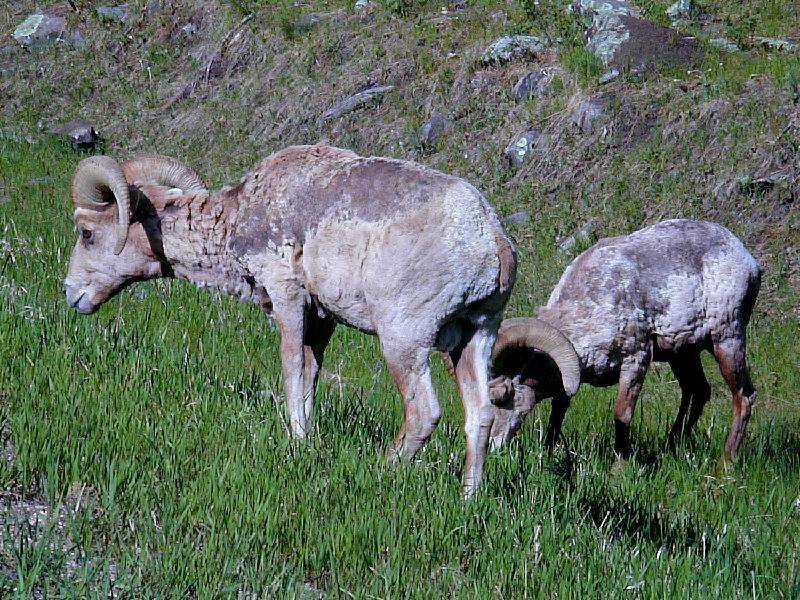 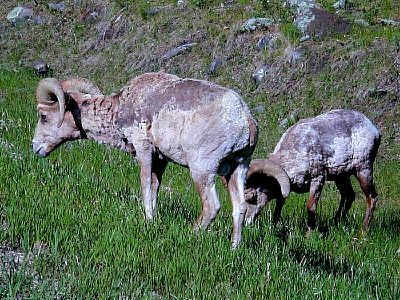 Two Bighorn Sheep grazing along the side of the road in Custer State Park, S.D. 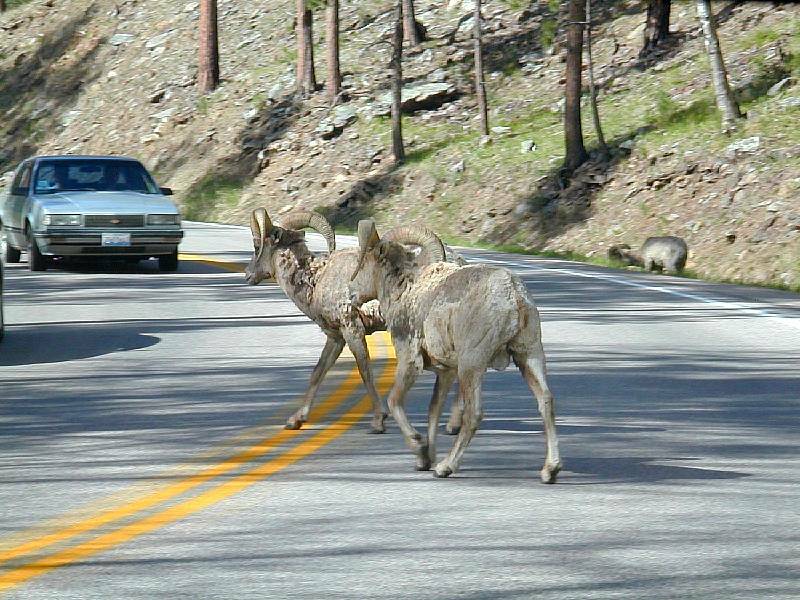 Two Bighorn Sheep crossing the road in Custer State Park, S.D. 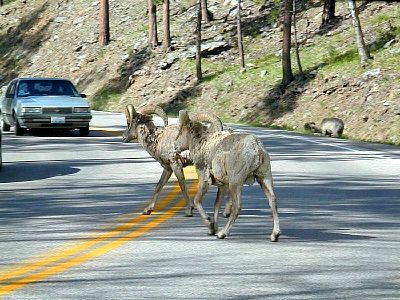 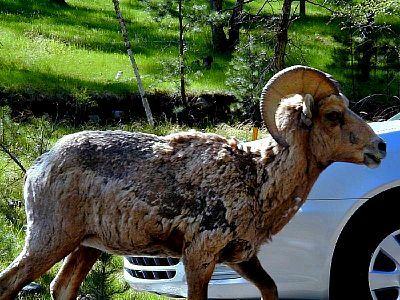 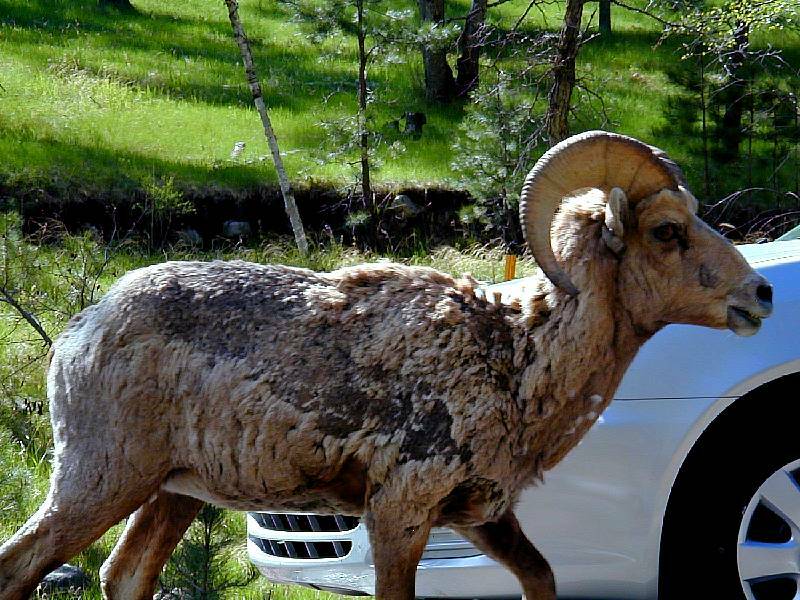 A Bighorn Sheep crossing the road in Custer State Park, S.D. 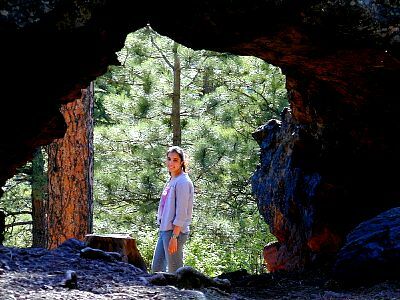 A view of Jen through a rock "tunnel" while hiking in Custer State Park, S.D. 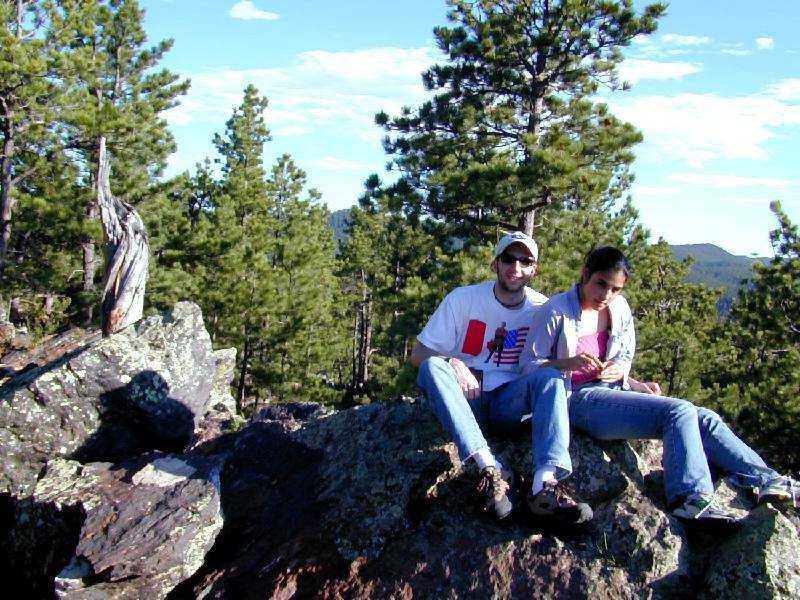 Joe & Jen resting on a rock while hiking in Custer State Park, S.D.